DT names Secretary of Homeland Security John Kelly as new White House chief of staff, ousting Reince Priebus. Senate fails again to pass a replacement or repeal of Obamacare in dramatic late-night vote. 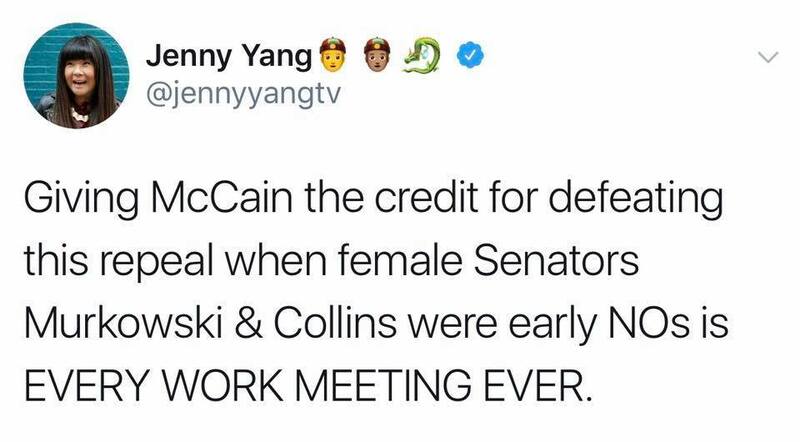 Republican Senators Lisa Murkowski, Susan Collins and John McCain cast deciding votes. Congress likely has power to delay or undo a transgender military ban, the Congressional Research Service says. In speech, DT encourages police officers to be more brutal with suspects who are apprehended.